The beachfront holiday retreat, Soneva Fushi Resort & Spa is sited on Kunfunadhoo, one of the largest islands of Maldives in the district of Baa Atoll. 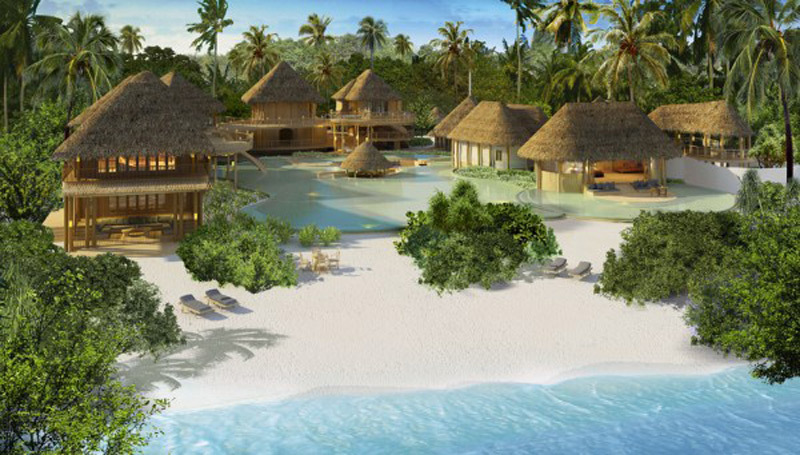 This luxury hotel is located on a private island, surrounded by white sand beaches, gardens, and bicycle trails. 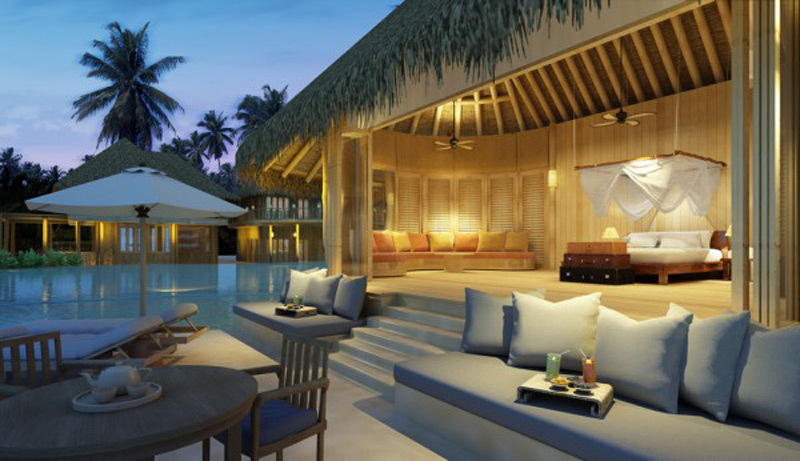 Encircled by lush palm jungles, each villa offers panoramic vista of the Indian Ocean. Hotel’s motto is “no shoes, no news.” This is a haven of calm for the mind, body and soul. The natural building materials used throughout the resort add to the sense of being at one with nature. All private residences are designed to meet each owners’ specific requirements, whilst remaining true to the Soneva values of SLOW LIFE (Sustainable, Local, Organic, Wellness, Learning, Inspiring, Fun, Experiences) and the brand mission of Intelligent Luxury. There’s an excellent choice of dining options, including Mihiree Mitha, which serves wonderfully fresh sushi, and By The Beach, for ceviche by candlelight. The resort also has its own own organic vegetable and herb gardens. Guests can take a sommelier-led tour of the resort’s wine cellar, which includes more than 7,000 bottles. When talking activities, guests can enjoy treetop yoga, sailing, kite surfing and diving with a resident marine biologist. There’s also an open-air cinema and a planetarium to keep guests entertained. If you’re a spa person, resort boasts an award-winning spa with a range of relaxing treatments. You can explore the uniquely restorative combination of a stunning tropical environment, invigorating wellness facilities and talented therapists delivering a comprehensive variety of healing, beauty and pampering treatments. 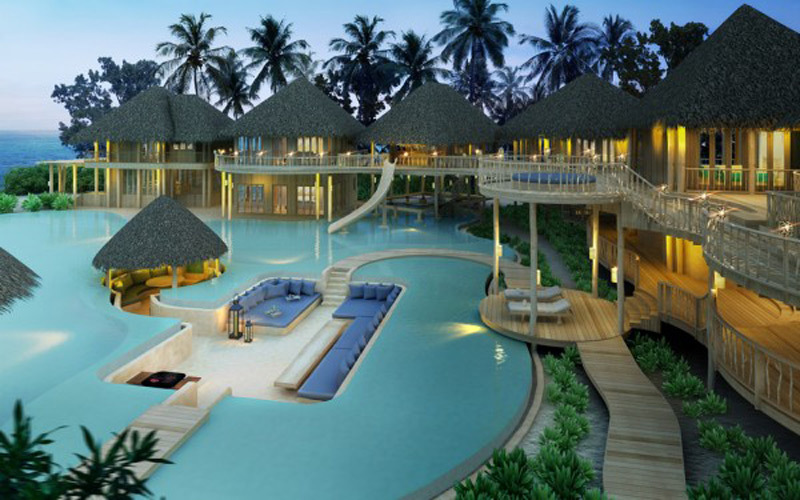 According to hotel’s website, now comes the unmissable opportunity to own a home there, with the development of an exclusive collection of twelve extraordinary villas that redefine the word luxury – the first private residences available to foreigners in the Maldives. If you still want just to rent it, rates ranging from $11,300 to $30,000 a night depending on the season.